LEGOs have been entertaining kids, and adults, for decades now. But thanks to The LEGO Movie, we can enjoy the tiny toys without the fear of stepping on them. In 2014, we followed Emmet and his adventures in Bricksburg. Five years later, we’re heading back to the theaters to see what’s next for Emmet, Lucy, Batman and more! 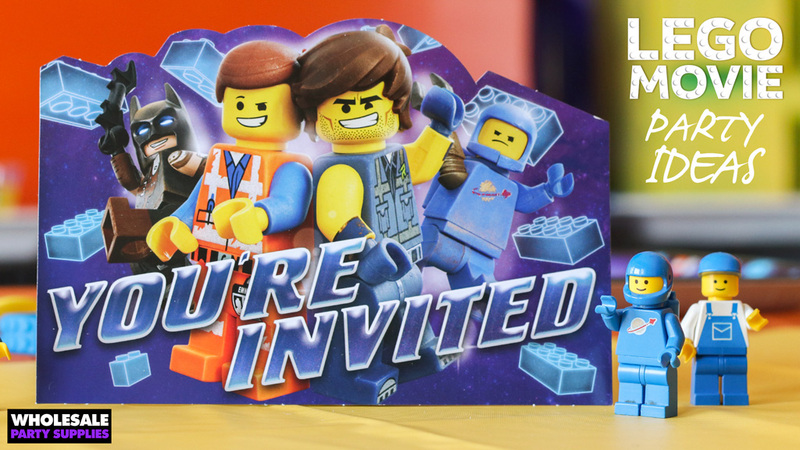 The timeless building set and memorable minifigures from the first Lego movie are back on the big screen with even bigger plans. 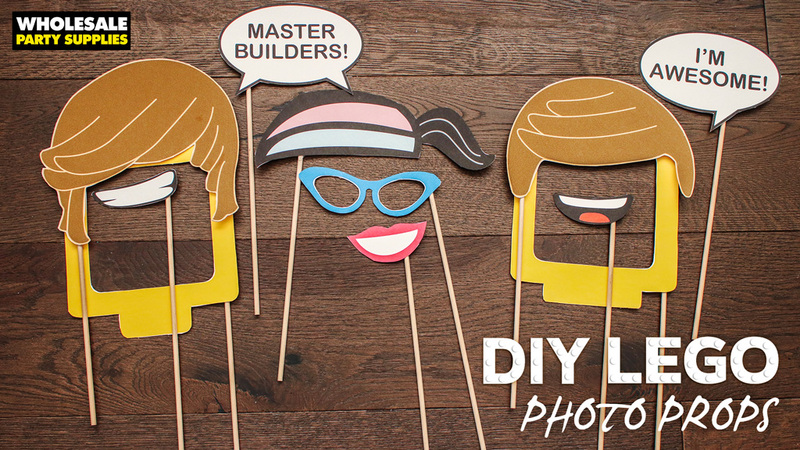 Get ready to put together an awesome party with DIY Lego photo props! 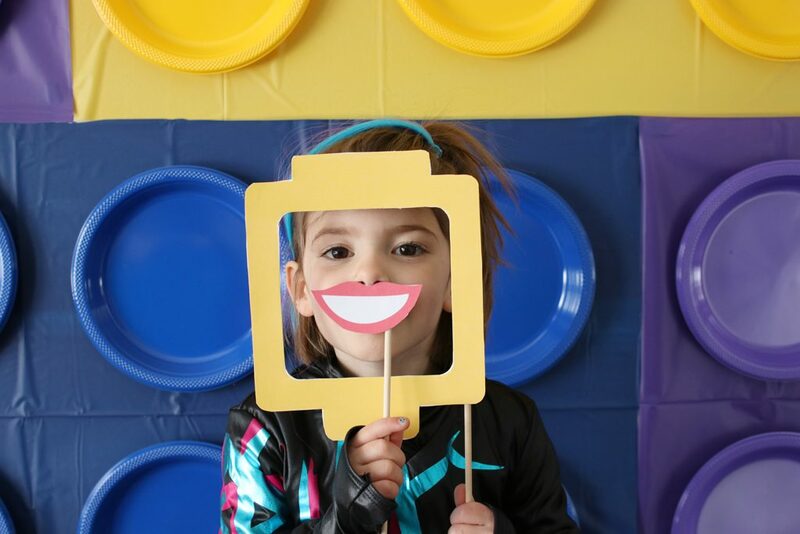 Download our free printable and follow the step-by-step photo instructions to create these fun party accessories sure to put a smile (or hair, or glasses) on the faces of your guests! Head over to Spot of Tea Designs to thank Tara for this awesome post. 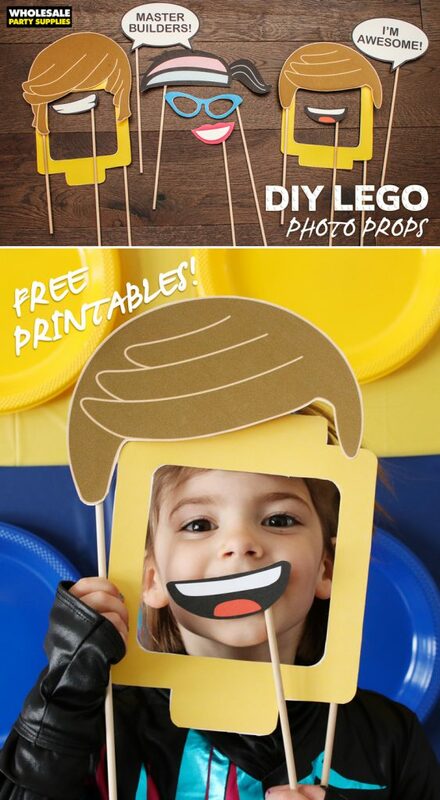 Download and print the Lego photo props printable. Tip: print more than one copy of the first sheet which includes the basic head shape. 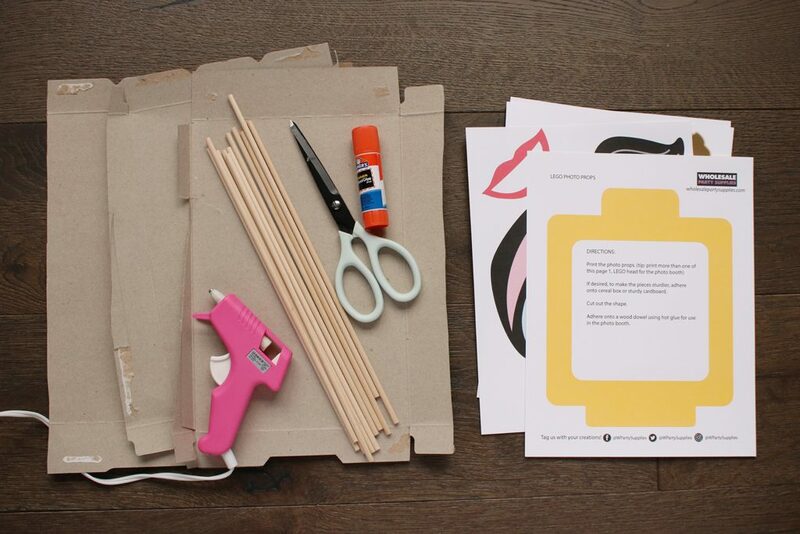 Do a rough cut around the edges of each shape and use a glue stick to adhere to recycled thin cardboard (like a cereal box). 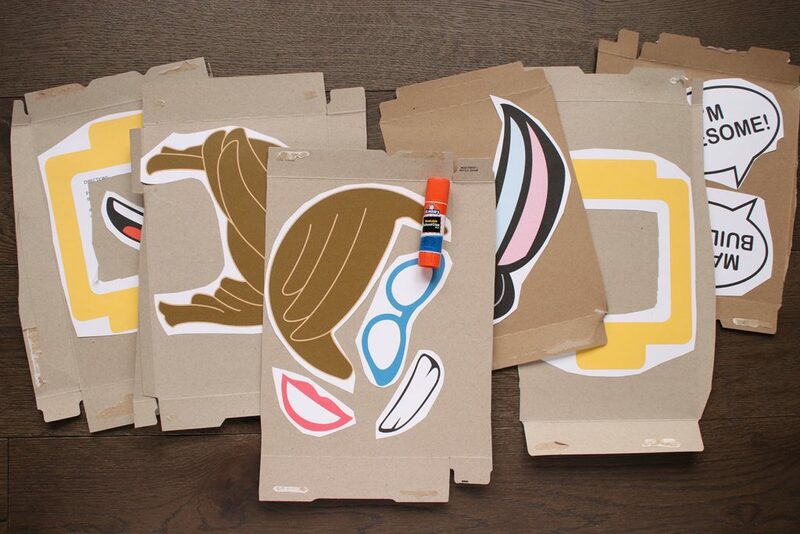 Cut out the shapes using fine tip scissors. Glue these shapes onto wood dowels using a low temp glue gun. Tip: Make sure to alternate some on the left side and some on the right so they can be used by both hands in the photo booth. 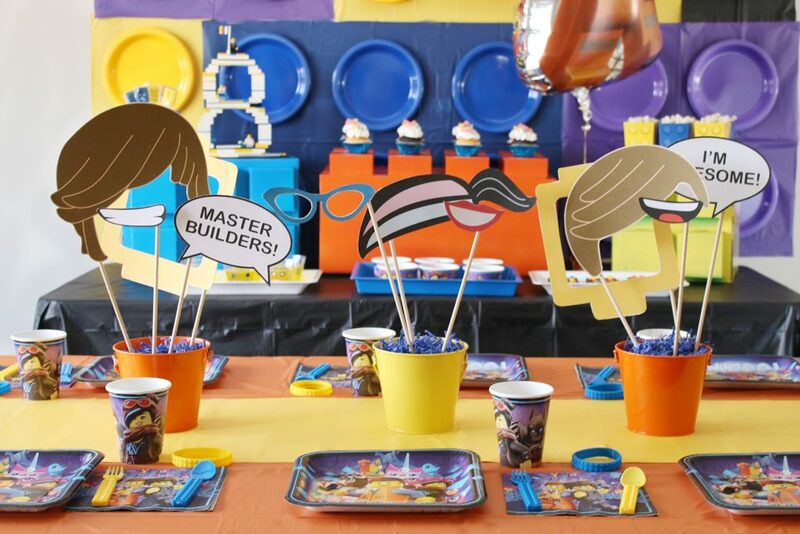 Now your Lego Party Props are ready for lots of configurations of fun at your Lego movie party! 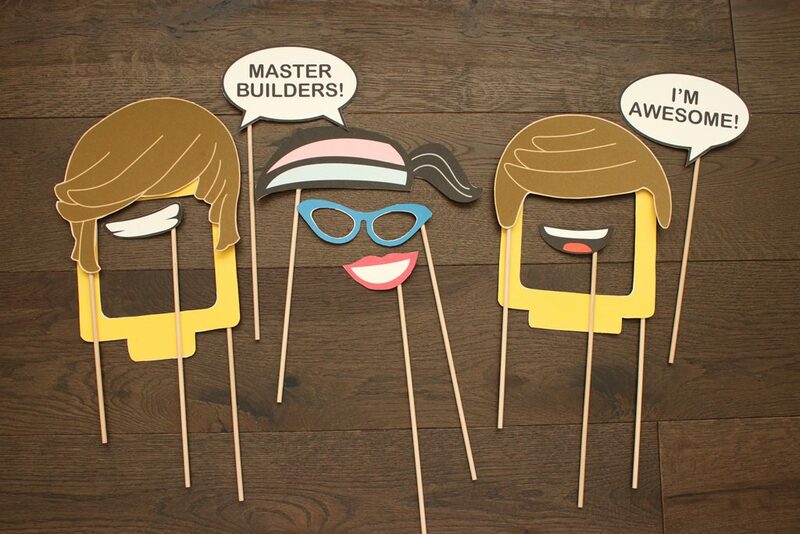 These pieces double as a table centerpiece at your Lego Movie Party until you’re ready for photo booth fun! Tip: Stage them in buckets with a Styrofoam block inside to keep them upright. 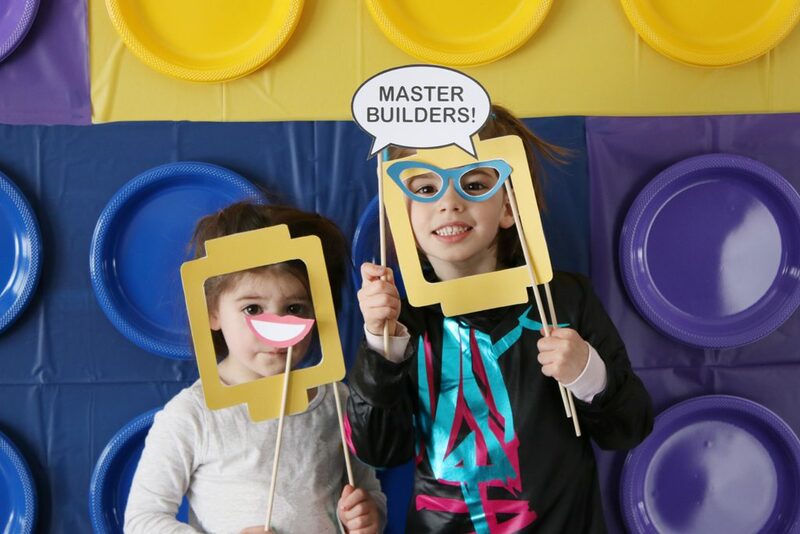 Building the perfect LEGO Movie party is easy when you’ve got all the tips and tricks! But it’s the memories you and your guests make at the party that matters the most. 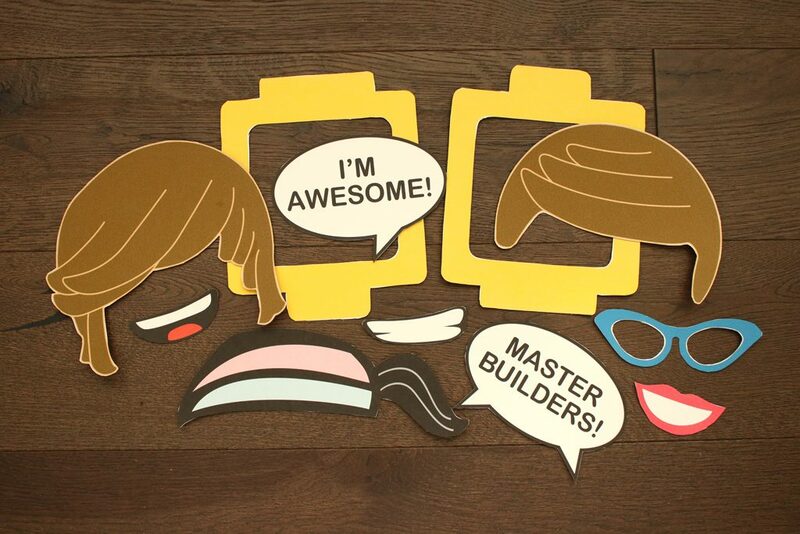 We hope you all love snapping selfies together with these DIY LEGO photo booth props!